One of the best parts about living in the future is that we’ve got some of the coolest technology available to help with almost any household task. Forget if you needed milk at the market? Your smart fridge can tell you. Need to make sure that the house is nice and cool when you pull in the driveway? Just ask Alexa to kick on the air conditioner via your telephone app. Tired of chasing your pets with a Dustbuster in order to keep hair from scattering everywhere? There’s a Roomba for that! There are several companies that make robotic vacuums, with various designs aimed at particular problems in typical homes. Cleaning up pet hair, chasing after children who drop things like cookies (that seems like a job for that pet whose hair needs to be tamed) or just making deeper cleanings easier by performing daily floor maintenance are just a few of the purposes for the major models you’ll see in stores and online. But do you even need one? And how do they compare to a traditional canister vacuum? Considering a robot vacuum for your home but want to make sure that you’re not trading in your canister vac for a robot that fails to do your floor cleaning bidding? A lot of people are finding themselves looking at robotic vacuum cleaners (that still top out around a thousand dollars or so) and wondering if they’re better than a good upright vacuum. Cleanable surfaces. 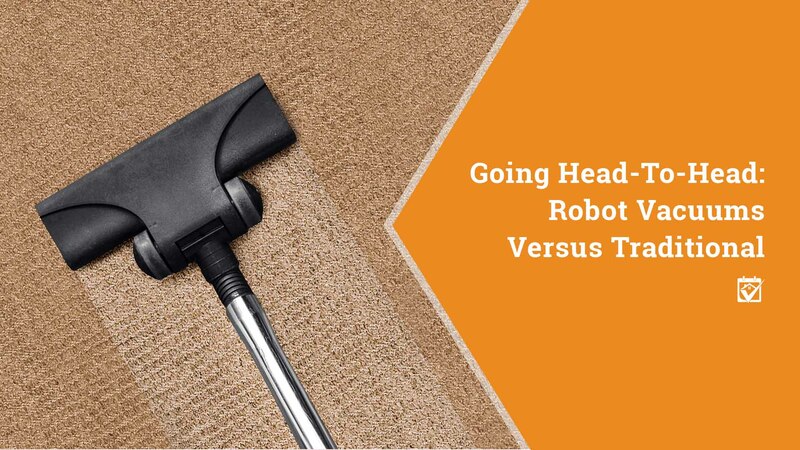 While similarly equipped robot and traditional vacuums will clean the same surfaces, robot vacuums tend to choke on deeper pile carpet. They may get stuck on area rugs or end up confused and disoriented while moving across different textures. Newer robotic models actually get “frightened” when they encounter flooring with dark areas, because it can set off their cliff sensors (basically, the machine thinks it’s approaching a drop-off like a stair). Robot vacs do much better on evenly colored hardwood floors, though. Deep cleaning. Consumer Reports also probed the ability of the robot vacuum to clean deep down into carpets. They’re not that great at it, as it turns out. Where the Miele Dynamic U1 Cat and Dog upright vacuum picked up more than half of test debris composed of talc and sand, Samsung’s Powerbot SR20H9051 didn’t manage 20 percent. Pretty disappointing for a machine that costs about a thousand dollars. If they only had a brain… Despite about 15 years of market exposure and evolution, most of the robot vacuums out there still aren’t that bright. Sure, they can heatmap your floor and they can usually find their way back to their chargers before their batteries die, but if they happen to pick up a toddler’s dropped PB&J, you can pretty much count on that sticky sandwich being rubbed all over the house, at least until your Roomba accidentally locks itself in the bedroom. This has all the makings of a bad 80s movie, really. Obviously a traditional vacuum doesn’t have to worry about this at all since you’re always there to pull the jelly out of its works (or, you know, not run it over in the first place). No one. Not even you. You can’t ditch the upright just yet and, frankly, if you have pets, kids, grandchildren or just harbor a habit of dropping crumbs on the carpet and walking away from the mess, you really need the robot vacuum, too. See, although they seem at odds, these two tools are actually complementary. Robot vacs help reduce regular cleaning, especially in the situations above. They can keep the floors clean day to day, then you can run the big vacuum across your carpets on the weekend. It’s a harmonious relationship, really. Some homeowners are worried about the small size of many robotic vacs’ collection bins, but Roomba has devised a clever solution to that little issue. The iRobot Roomba i7+ not only parks itself in its dock when it gets sleepy, it also empties itself so it can get back to cleaning without your supervision. It’s still not as good at deep cleaning as your upright, but it’s one more evolution on that path. When you decide to adopt your own Rosie the robot vacuum, you may find that you need more than a little help getting it up and running properly. But that’s ok, Rosie has lots of friends and neighbors ready to help you find the best Smart Home expert in the area to install her via your HomeKeepr community. Just log in to see the recommended smart home pros — and maybe check out the carpet cleaners while you’re in there to clean your carpets really well before you let her loose. The Dora Campbell Team is Ocala’s Top Real Estate Team! Dora’s skilled background has given her a solid foundation in the Real Estate Market. Being in the Legal field for 15 years, and a Hospital Physician Recruiter and Relocation Specialist for 7 years, has enhanced the personalized service and efficiency that she offers. Being a Top Producing Real Estate Consultant requires hard work, attention to detail and sheer dedication! With a WIN-WIN belief in mind, she takes care of all the necessary work and negotiation of Buying or Selling each home, utilizing years of experience in the relocation field. She positions each property for maximum results and success! Website designed by: Brick City Interactive.